Lemon shark (Negaprion brevirostris) inhabits shallow coastal waters. It is a social shark that likes to stay in loosely-formed groups of up to 20 individuals and cooperate with each other. It has yellow-to-gray shade and a stout body. Since it dwells on sandy seafloors, the background color of the sand blends perfectly with the shark’s color. Its snout is wide and short. Both dorsal fins are almost equal in size. Typically, lemon shark can grow from 7.9 to 10.2 feet in length and weighs up to 200 pounds. The length of the largest lemon shark ever recorded is 11.3 feet and had a weight of 405 pounds. The lifespan of lemon shark is around 27 years. Lemon shark reaches maturity at the age of 12 to 16 years. It reproduces pups once after every 2 years. A litter size has a range of 4 to 18 pups. 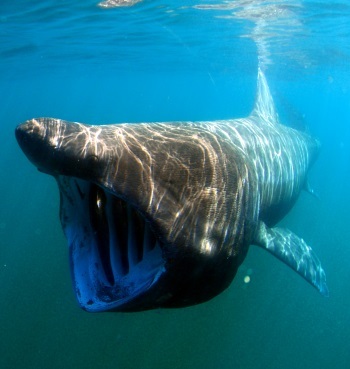 In Atlantic, these sharks inhabit New Jersey to Brazil and western Africa. In the Pacific, it is present from the Mexican state of Baja California and all the way up to Ecuador. The preferred habitat of these sharks is shallow coastal bays of mangroves and coral reefs particularly on sandy bottom. It prefers to dwell in warm-water and finds habitat where the fish is abundant. 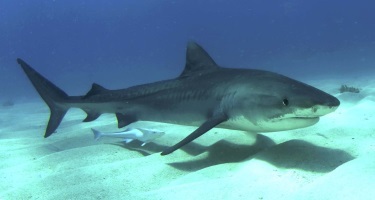 It is a carnivorous shark that feeds primarily on fish like catfish, eagle rays and stingrays. These sharks are found to prey on slow-moving fish like mojarras and parrotfish. Apart from this, they also eat shrimp, crabs and other crustaceans. This species of shark has been hunted to get its meat, skin and fins. Its meat is served as a delicacy while the skin is used to make leather. Generally, these sharks do not attack humans. However, since it is a powerful fish with a strong bite force, it can pose significant threat to divers. 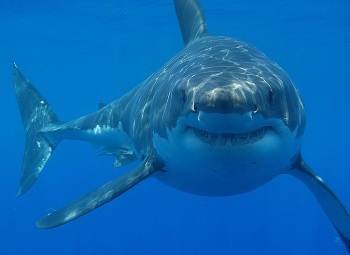 Other Names: Requim Shark in UK, Squalo Limone in Italy, Limon in Mexico and Requin Citron in France.